Bajaj Auto seems to have soft-launched the 2018 version of the Pulsar 200 NS motorcycle, adding a key feature in the process. 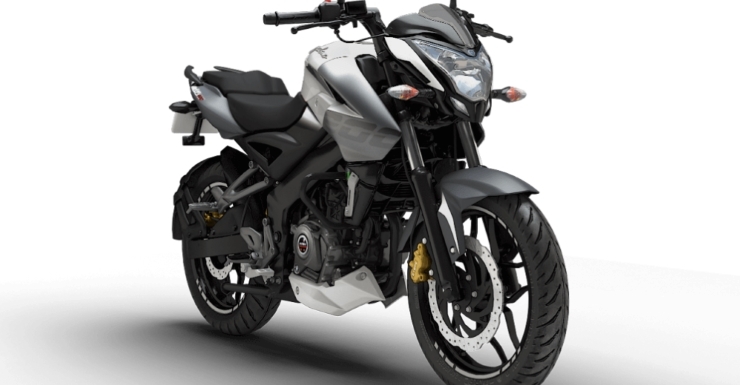 The Pulsar 200 NS is now said to be available with a single-channel ABS (anti-lock braking system). borrowed from the Pulsar RS 200. The 2018 Pulsar 200 NS with ABS is priced at 1.09 lakh rupees, ex-showroom Mumbai. The new price represents a near 12,000 rupee increase over the non-ABS version’s price. An official announcement from Bajaj is expected shortly. Now, what’s a single channel ABS? A single channel ABS refers to the anti-lock braking system that works only on the front brake/wheel. A dual channel ABS system works on both the front and rear brakes. Since most braking happens on the front wheel, manufacturers in India add single channel ABS to budget bikes in order to keep costs low. In fact, even the Pulsar RS 200 offers a single channel ABS and so does the Suzuki Gixxer SF, which recently saw ABS added to it. To sum it up, a single channel ABS system gets the job done and greatly improves safety under hard braking. However, it’s not equal to a dual channel ABS, which is superior. Coming to the Pulsar NS 200 with ABS, the bike retains the 200 cc single cylinder engine that features liquid cooling and a triple-spark ignition system. The motor puts out 23.5 Bhp of peak power and 18.6 Nm of peak torque. A 6 speed manual gearbox comes standard. Suspension on the bike consists of telescopic front forks and a monoshock rear. Alloy wheels and hydraulic disc brakes are standard. The bike features street-fighter styling and is aimed at those who want an reasonably priced yet aggressive looking bike with peppy performance, for everyday use. By law, from April 2018, every new two wheeler sold in India must either have ABS or CBS (combined/combi braking system). CBS is meant for two wheelers with engine capacities under 125 cc, and the rest must offer ABS as standard. CBS, already seen in the Honda Activa, makes sure that braking pressure is divided between the front and rear wheels. So, when a rider presses one brake lever, braking pressure is applied on both wheels. This system reduces skids under hard braking. ABS, on the other hand, is more sophisticated. It constantly monitors wheel speed, and regulates braking pressure. It makes sure that the wheels don’t lock up even under hard braking. The system does this by relaxing braking pressure in minute amounts under hard braking so that the wheels don’t lock up. ABS is designed to prevent skids due to panic/emergency braking. It is particularly useful on wet roads where a two wheeler can easily skid while braking.